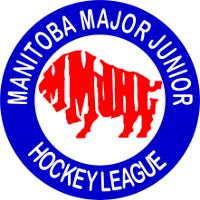 The Canucks come into the 2017-2018 MMJHL season with a lot of returning players looking for redemption after last year’s first round playoff exit and a batch of new faces looking to help push them forward. The team opened the preseason with a 4-2 loss to the Charleswood Hawks on Friday, Sept. 8 at the St. James Civic Centre. The loss came despite the Canucks carrying the play and out-shooting their rivals 41-14. Colin McKay led the way, scoring the Canucks’ first goal of the game at 1:13 of the second period and assisting on the second goal in the third period. Isaiah Moneyas scored and Craig Weiss chipped in with an assist. Klavs Eglitis, Tyler Sagness and Randy Bjornson all spent a period between the pipes. Eglitis stopped 14 of 15 shots, Sagness allowed two goals on 13 shots and Bjornson made eight saves on nine shots. 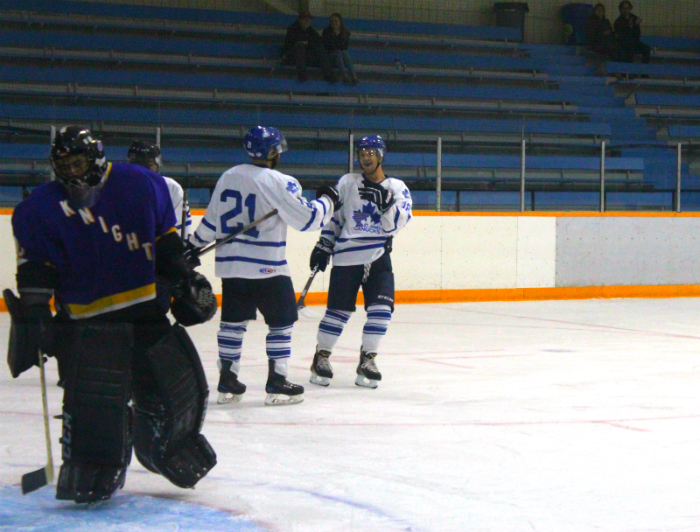 The Canucks then moved on to Terry Sawchuk Arena, where they took on the River East Royal Knights on Sunday, Sept. 10. The Canucks dominated in all aspects of the game, beating the Royal Knights 5-2 on the strength of three power play goals. Tyler Meixner got the scoring started in the first with assists from Cole Chicoine and Jarrett Lynam. River East responded early in the second but three straight goals by Jeremy Idzikowski, Chicoine, and Eric Wankling put the Canucks back up. After the Royal Knights made it 4-2 just 42 seconds into the third, John McCammon responded less than a minute later to ice the 5-2 win. Rookie defenceman Nate Roffey had a pair of assists in the game. Meixner, Kieran Ursel, Wyatt Kemball, Ben McKendry and Kole Stockham had assists as well. Bjornson and returning goaltender Tyler Weiss split time in net, combining to allow two goals on 24 shots. 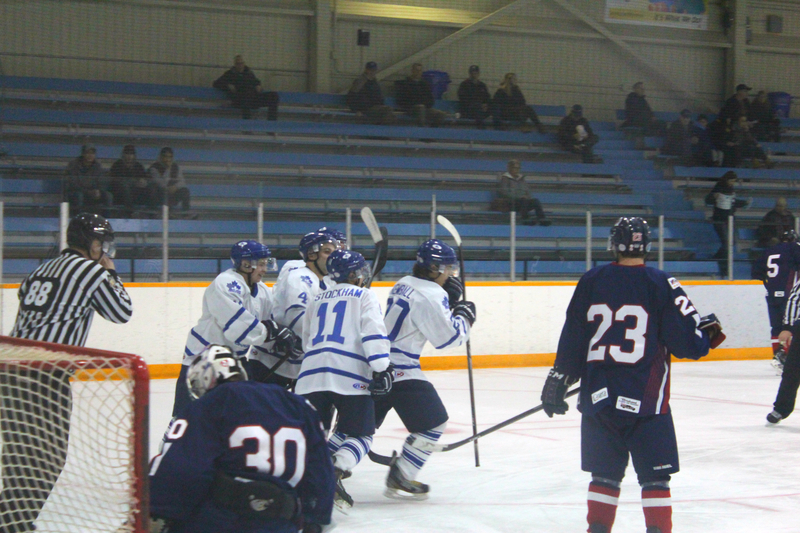 The Canucks continued their preseason at Eric Coy Arena in their second match-up with the Hawks on Tuesday, Sept. 12. Despite a solid team effort, the Canucks fell 3-1. Ben McKendry opened the scoring 7:05 into the middle frame but the Hawks battled back and scored two goals in the latter half of the period. They would add a third goal late in regulation to seal the victory. Eric Wankling and Jarrett Lynam assisted on McKendry’s first of the preseason. Nathan Cvar was solid in net, stopping 27 of 30 shots and taking the tough luck loss. 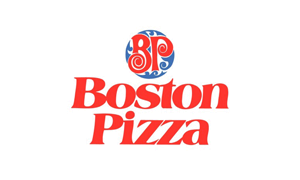 The Canucks then wrapped up their preseason with a dominating 7-0 win over River East at the Civic Centre on Friday, Sept. 15, in a game where they scored another three power play goals. The line of Kieran Ursel, John McCammon and Dylan Reinheimer led the way, recording a combined nine points. Ursel had three goals and two assists, McCammon had a goal and an assist and Reinheimer netted a pair of goals. Tyler Meixner rounded out the scoring with his second of the preseason and Wyatt Kemball had two assists. Lynam, Wankling, Idzikowski and Josh Johnson also added assists. Tyler Weiss turned aside all 16 shots he faced in the win. 3 – Wyatt Kemball: Kemball had three assists in two preseason games for the Canucks. Two of those assists came on the power play. 2 – Tyler Weiss: Weiss played parts of two games allowing just one goal on 30 shots faced in just over 90 minutes of play. That was good enough for a 0.66 goals against average and a .967 save percentage. 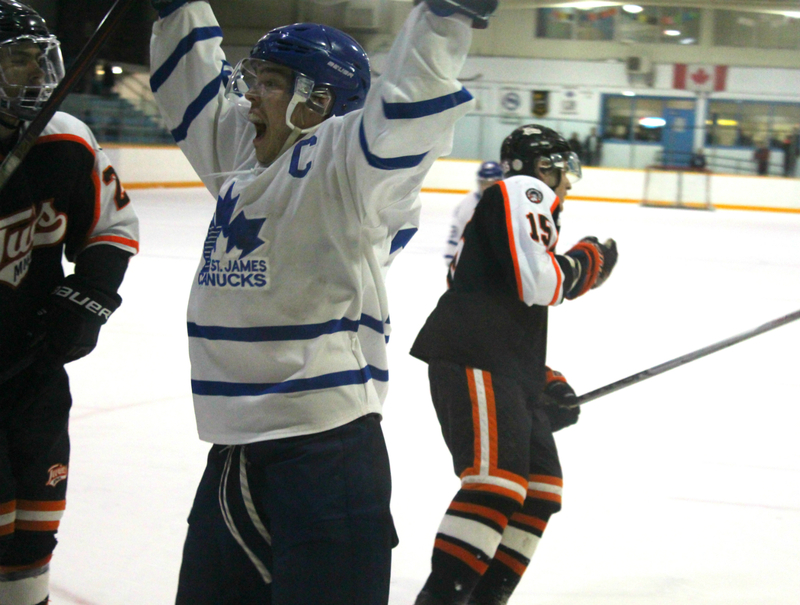 1 – Kieran Ursel: Ursel led the Canucks in scoring during the preseason with six points (3G 3A) in four games. 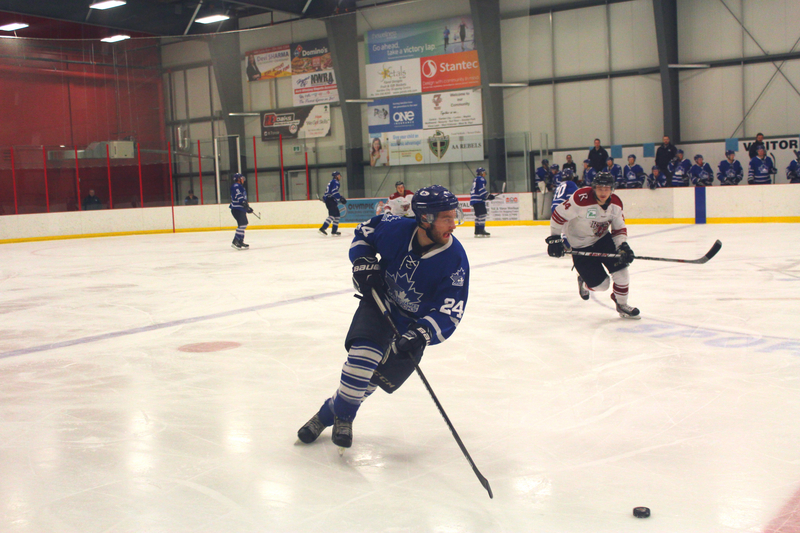 The Canucks will open their regular season tomorrow (Sept. 17, 2017) at home against the St. Boniface Riels. 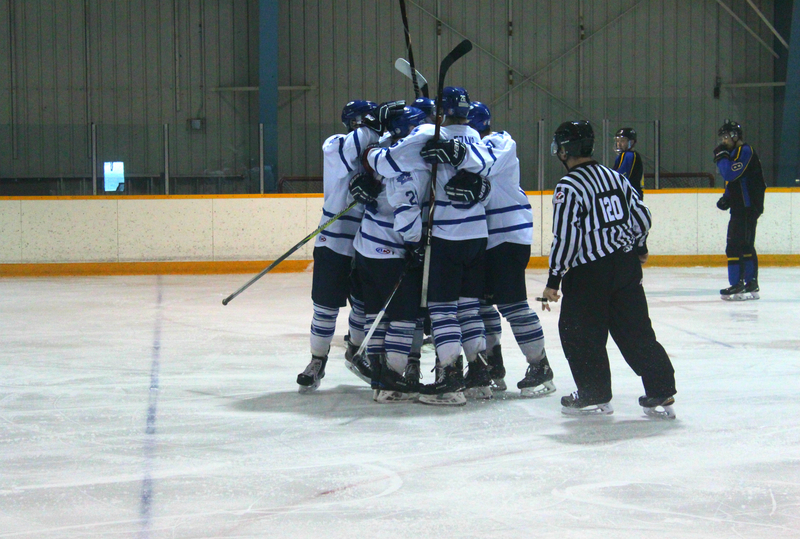 Puck drop for the game is scheduled for 2:45 pm at the St. James Civic Centre.